Die main convention usually takes place at the three days following Corpus Christi holiday from Friday morning till Sunday noon; the autumn convention at the first weekend in November (Saturday morning till Sunday noon). At the evening before the official convention, board meetings are held. Many visitors arrive already at this day. Unless otherwise stated, the daily schedule starts at 10:00 AM. 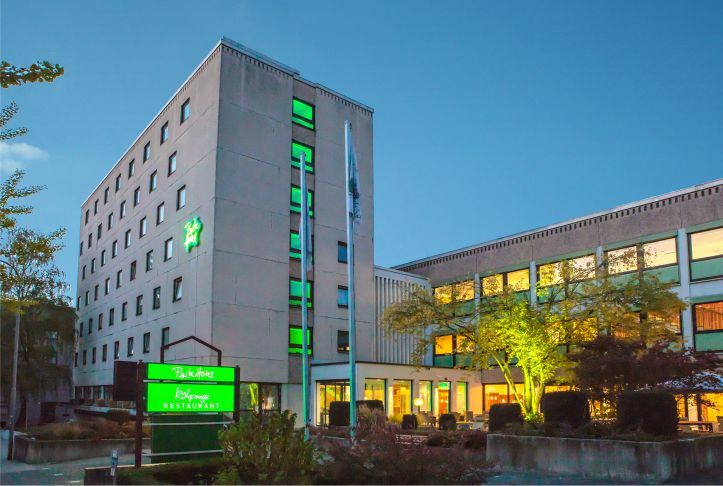 As usual, our conventions are held in the hotel Parkhotel Kolpinghaus Fulda , Goethestraße 13, 36043 Fulda , Germany, tel. +49 / 661 / 8650-0, fax +49 / 661 / 8650-111. Map and route planner: Google Maps . Please book your rooms in due time for the convention dates directly with the hotel Kolpinghaus! For further information please contact the municipal tourist office Fulda, Stadtschloß, phone +49-661-102345. Or try the Hotel Reservation Service (HRS) .